California State Assemblymember Mary Hayashi announced that she is co-authoring AB 1313, which will allow farm workers to be eligible for the same overtime pay protections as other workers. Assemblymember Mary Hayashi (D-Hayward) announced that she is co-authoring Assembly Bill 1313, which will allow farm workers to be eligible for the same overtime pay protections as other workers. Today she joined with over 200 farm workers, civil rights leaders, and lawmakers at a United Farm Workers press conference to demonstrate support for AB 1313. The bill will end decades of discriminatory exclusion of farm workers from federal overtime pay protections. In 1938, the Fair Labor Standards Act (FLSA) established minimum wage and overtime pay standards for the nation’s workers. While the Act provided important protections including limits on child labor, President Franklin Roosevelt excluded farm and domestic workers from FLSA in order to win votes from Southern lawmakers. At that time, the vast majority of the South’s agricultural workers were African Americans. Today in California, most are Latinos, Filipinos and other immigrants, who remain subject to limited overtime pay protections. In 1976, California Governor Jerry Brown signed legislation to establish overtime for farm workers after 10 hours worked in a day or 60 hours worked in a week. In 2010, efforts to align farm worker overtime protection to that of other American workers—overtime pay after eight hours, after 40 hours worked in a week, and working more than eight hours on the seventh day—were vetoed by Governor Arnold Schwarzenegger. 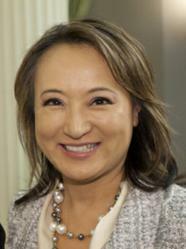 Assemblymember Hayashi is the Chair of the Business, Professions, and Consumer Protection Committee and serves the 18th Assembly District, which includes San Leandro, Hayward, Dublin, most of Castro Valley and Pleasanton, and a portion of Oakland, as well as the unincorporated areas of Ashland, Cherryland, San Lorenzo and Sunol.